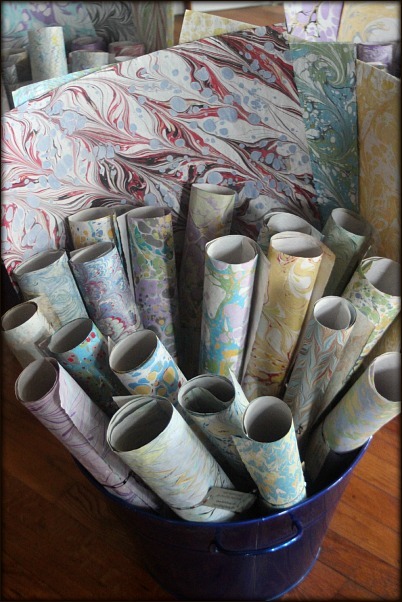 A new addition to this year's Peach Tree Holiday Show is marbled wrapping paper! 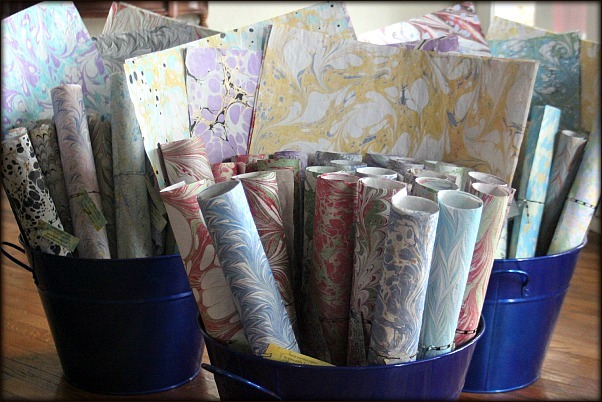 Marbled on recycled newsprint without a chemical-icky, shiny finish, it makes for an eco-friendly way to wrap your gifts for the holidays, birthdays, hostess, baby shower, or any other celebratory event! 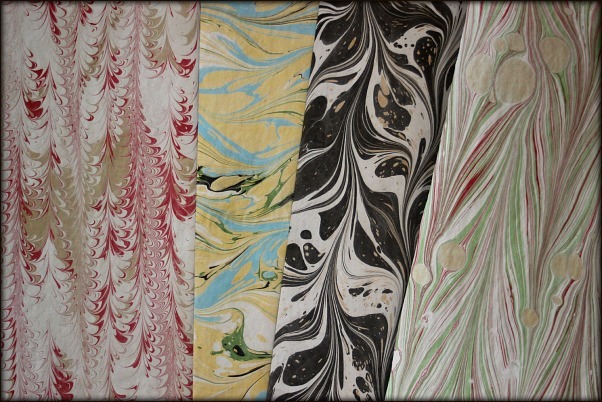 Each piece is a hand-marbled, one-of-a-kind creation. Elegant and beautiful, bold and festive, classic and contemporary...there are lots of styles and colors to choose from.